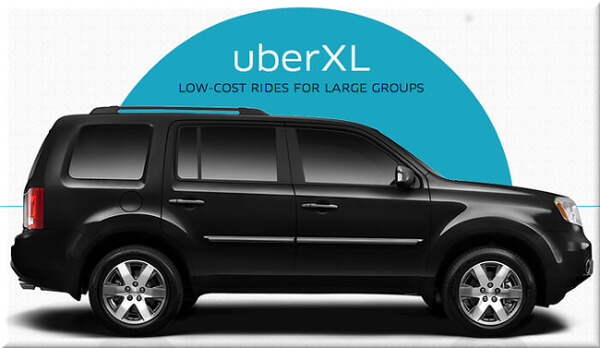 Uber XL is an inexpensive car service that lets you hail an SUV - It's UberX's big brother. So whether you're with a bunch of friends, or simply need a more spacious ride without burning a hole in your pocket, UberXL is the car service for you. You'll be picked up in an SUV or minivan that can fit at least 6 people - including yourself - after requesting an XL. Launching in May 2014, this was the 1st SUV option. It's nearly half the price of UberSUV (which is the luxury "black car" version). Note: There are many more available cars! This is just to give you a rough idea. How would you rate this car service? Uber is a Transportation Network Company that began in 2009 & has since grown into a global company worth over $70 Billion. 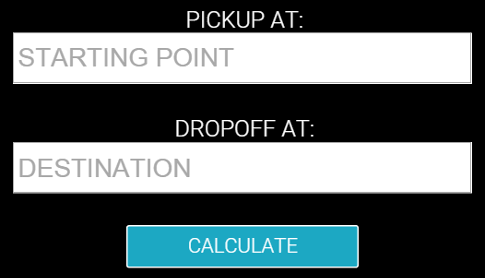 It revolves around their smartphone app which allows riders and drivers, in 77 countries and over 677 cities, to easily request their own on-demand private car service to pick them up at their current location - with the tap of a button. Just enter your starting point and destination below! We are not affiliated with Uber® in any way.